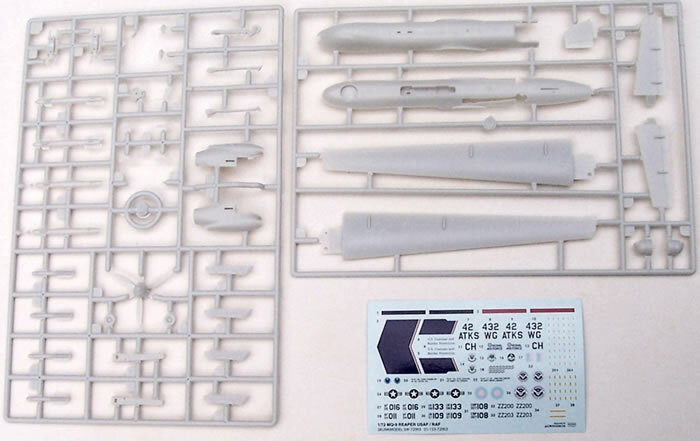 Two kits, each consisting of 37 grey styrene airframe parts plus decals for four UAV’s. 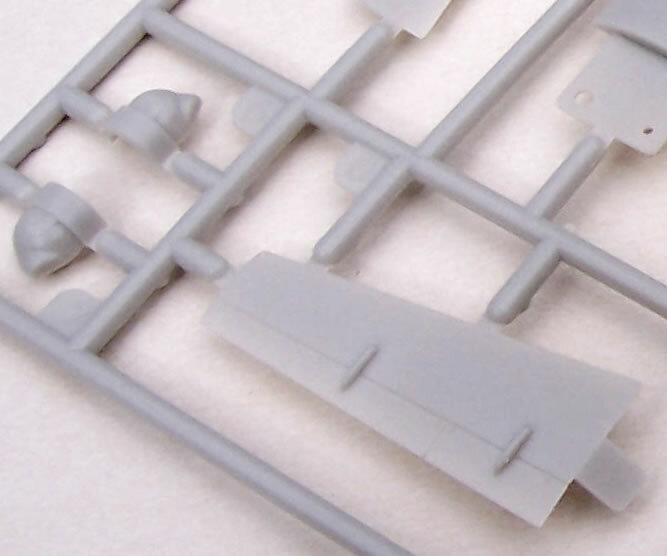 Good quality moulding and decals, with a low parts count for a simple build. Should make into an interesting model. Two kits per box makes for very good value. Some print in the instructions is too small for some middle-aged eyes to read easily. 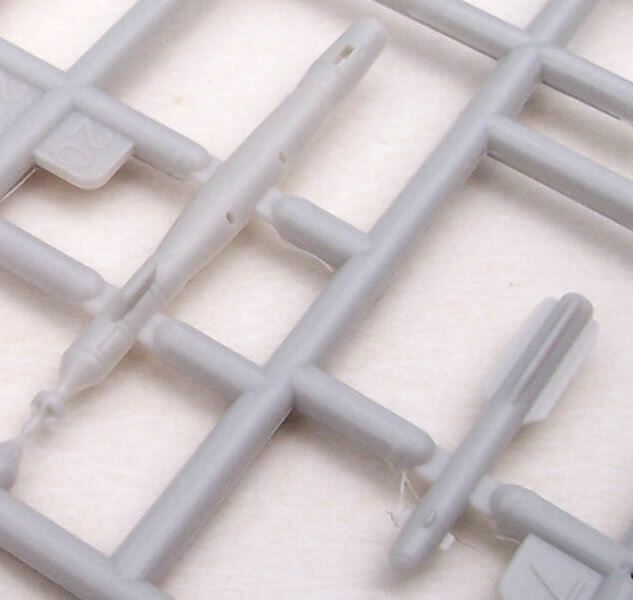 A good quality kit offering very good value and a potentially low-stress build of an unusual subject – Recommended. Unmanned Aerial Vehicles really came to prominence post-WW2, although that conflict did see the limited use of the German Ju 88 Mistel and US Aphrodite B-17 concepts (both using aircrew for part of their mission), and various German remotely controlled glide-bombs and missiles. There had even been efforts at flying bombs as early as WW1, but ideas were well ahead of technology at the time. Following WWII, most UAVs were either target drones or guided missiles. However a clear need emerged for reconnaissance platforms where low observability through small size, or the mission’s high risk made having a pilot on board undesirable. The capability of such UAVs has been revolutionized in the digital age where powerful computers, satellite data-links, GPS and so forth have enabled UAVs to undertake missions that would previously have demanded the presence of aircrew. Add to this the parallel development of precision weapons and we have seen the emergence of true remote controlled hunter/killers. Finally stealth technologies add another dimension, and are generally more easily incorporated when aircrew are not a consideration. 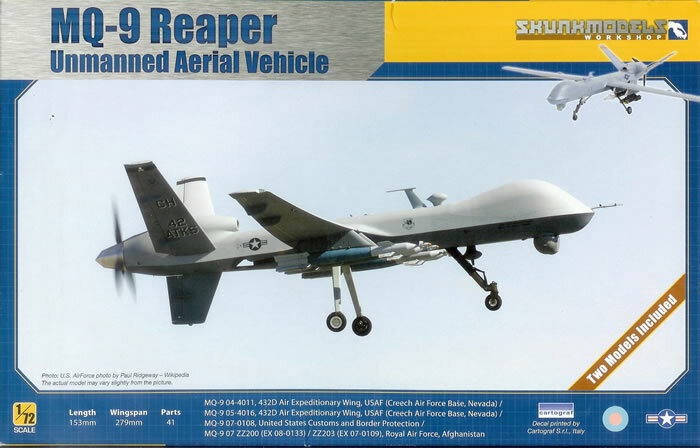 The Reaper is operated by the USAF, USN, US Department of Homeland Security, US Customs & Border Protection, NASA, the RAF and Aeronautica Militare Italiana. When discussing UAVs with my modeling mates over a beer or two the general consensus leans towards a lack of interest in the type, mainly I think because of their “robotic” nature. However I must confess my view has changed since examining the MQ-9 kit reviewed here, and also a 1/72 RQ-4N Global Hawk I will review in due course. I now think that UAV’s are potentially quite intriguing model subjects. Freed of having to carry a crew, UAV airframes are even more mission optimized than crewed aircraft, and often have quite interesting shapes. Some are also surprisingly large. The Reaper has a span of 20 metres or 65 feet, and the Global Hawk 39.9 metres or 131 feet! I’m inclined to think that a few UAV’s in my model cabinet would add interest to the lineup on display. 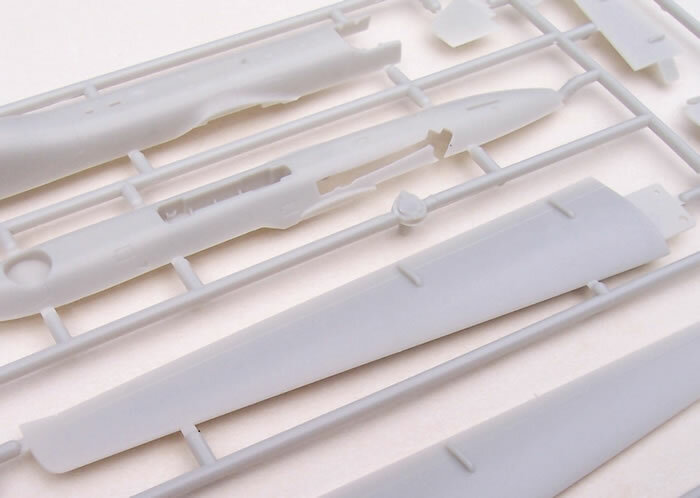 The box is an end opening affair with no wasted space as it contains two identical kits and decals sheets. 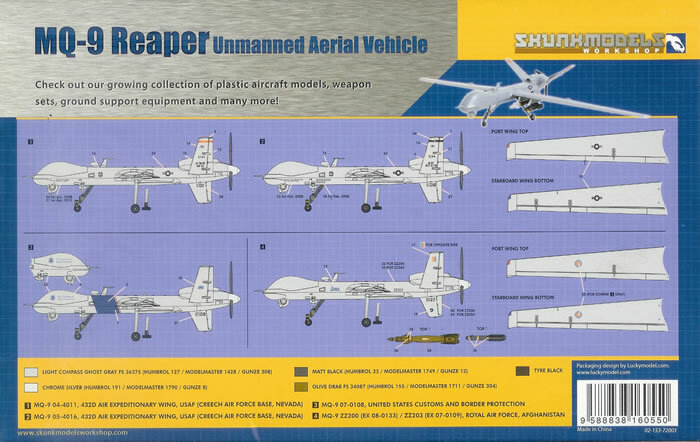 The box front has a photograph of an MQ-9, whilst the rear provides a colour painting and decal location guide. Colour call-outs use FS-595, Humbrol, Model Master and Gunze colour codes. A small note also advises that the packaging is by Lucky Model of Hong Kong, an on-line retailer many will be familiar with. The instructions are a series of folded A-4 pages making an A-5 Booklet. 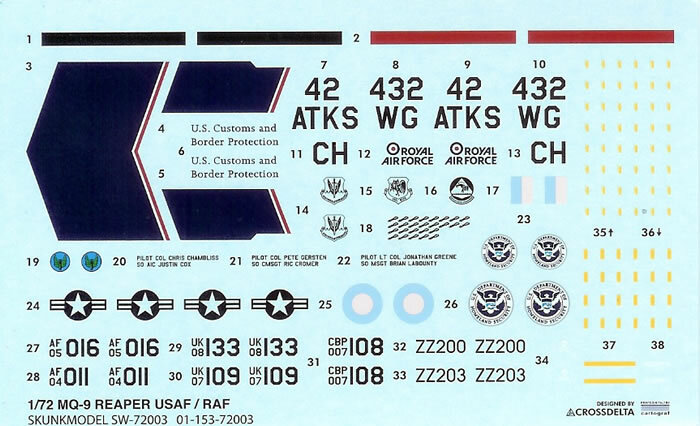 This provides a brief type history, parts map, an easy to follow diagrammatic assembly guide, and also repeats the painting and decal location guide using black & white shaded drawings. Some of the print is very small, and as an over-50 modeler I was on the brink of resorting to my trusty optivisor. I think many modelers would appreciate slightly larger print in a few places. 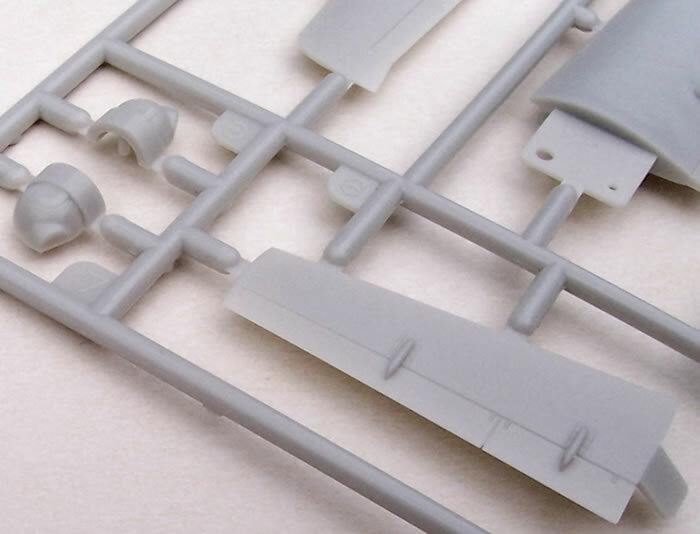 The kit parts are well moulded, are not limited run and have locating lugs, with just a little flash in on the missile rails. Surface detail is retrained, consisting of fine recessed lines and where appropriate indications of fasteners and or rivets. The weapons load consists of two GBU-12 Paveway II bombs and four AGM-114 Hellfire missiles. 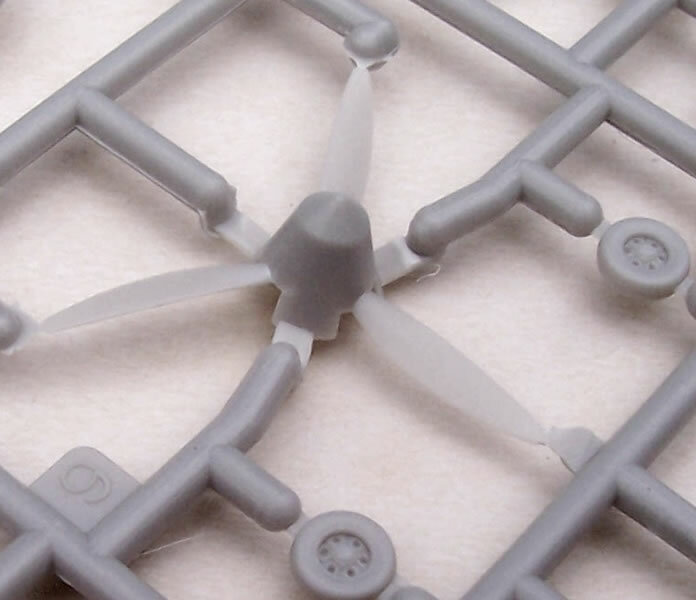 The weapon fins are acceptably thin given the limitations of injection moulding. 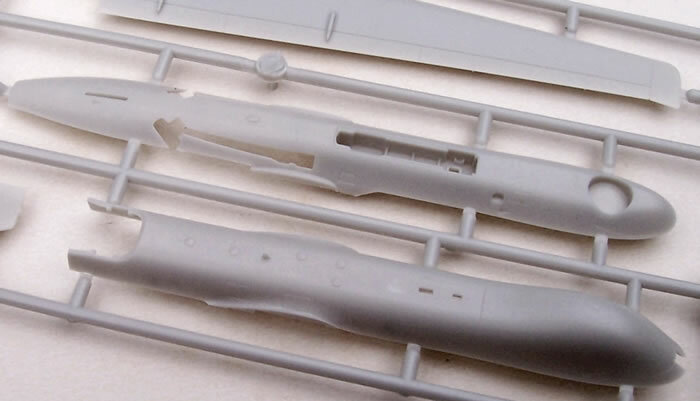 Some parts are very fine, in particular the propeller blades. Decals are by Cartograf and appear to be excellent quality as we would expect of this company. The parts count is low and the kit breakdown is logical. This should be a very quick build with few seams and a simple paint scheme. In fact I think it would make an ideal project after a demanding build or as break from more intense modeling. If one Reaper is enough you can give the other to a mate, or swap or sell it. A few of these could also make for a good club “build the same kit” competition. I have come to the conclusion that UAVs are more interesting modeling subjects than I first gave them credit for. 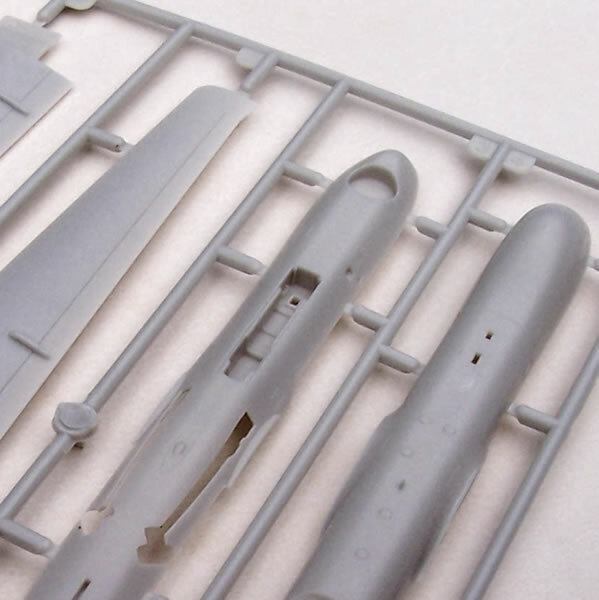 This kit looks like it will be an enjoyable and simple build, and should result in a very interesting shape for display alongside more conventional aircraft types. This is the first Skunk Model Workshop kit I have seen, and it’s left a good impression with me. 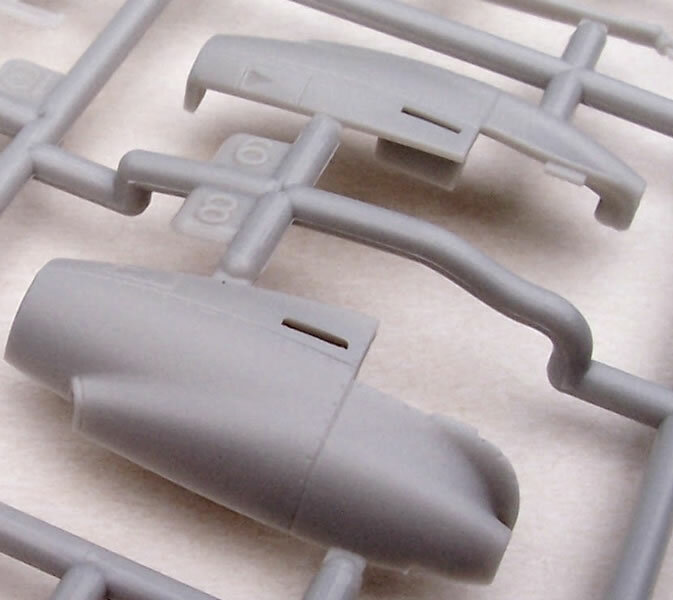 The parts are well moulded and nicely detailed, and the decals look to be excellent. The packaging is good, and the instructions are quite adequate for their intended purpose, if otherwise a bit average in appearance. I think that this kit would be worth its price with only one kit in the box, so getting two with the box makes this excellent value indeed .